In our continuing search for the best vacation experience for our clients, my wife and I toured the Oceania Marina while she was in port in Miami this month. There are many wonderful features of this ship and of Oceania Cruises that you might not be aware. The staterooms, ship board amenities, destination intensive itineraries, and last and probably most importantly, the cuisine onboard set Oceania in a category of their own. Check out our photos of the tour here. We toured inside, ocean view, veranda, concierge veranda cabins as well as, the luxurious Owner’s Suite. The 2,000 square foot Owner’s Suite on board Oceania Marina gives you a glimpse into the ultimate luxury experience. With furnishings from the Ralph Lauren collection, the décor is very elegant. You enter the suite into the foyer, complete with bar and piano along with a comfortable seating area. As you venture to the port side, you enter the dining room which is stylish and sophisticated with seating enough for eight guests should you want to entertain fellow passengers in your suite. Returning back through the foyer to the starboard side, you enter the bedroom; complete with king size Prestige Tranquility bed and spacious seating. Next you move into the bathroom which features a Jacuzzi bath tub, separate shower, separate toilet and bidet room, two sinks and plenty of space. Moving out onto the balcony, which spans the entire width of the ship, you have plenty of seating to soak up the incredible view of the open ocean and an outdoor tub. Along with the amazing stateroom, guests in the Owner’s Suite enjoy upgraded amenities like 24 hour butler service, unlimited access to the Canyon Ranch Spa, free unlimited internet, Exclusive card-only access to private Executive Lounge staffed by a dedicated Concierge, featuring complimentary soft drinks, coffees and snacks throughout the day, and more. At 282 square feet, there is plenty of space to enjoy the upgraded amenities and the privacy of your own veranda. The king size Prestige Tranquility bed offers the chance at deep, restful sleep after a long day exploring your destination. The bathroom features a separate shower and tub and is much bigger than most cruise ship bathrooms. Concierge guests get extra amenities like Exclusive card-only access to private Concierge Lounge staffed by a dedicated Concierge, featuring complimentary soft drinks, coffees and snacks throughout the day, complimentary welcome bottle of champagne, unlimited access to the Canyon Ranch Spa, and more. The 282 square foot Veranda stateroom features the same stateroom furnishings and furnishings as the Concierge Veranda, but doesn’t include the same level of amenities. The view from the balcony however is still worth the extra expense to get your own private outdoor space to enjoy the fresh salt air. With a spacious 242 square feet and a floor to ceiling window available for your viewing pleasure, the Deluxe Ocean View is a fantastic option for the budget conscious cruiser. The bathroom features a separate shower and tub for that luxurious experience at sea. The entry level Inside cabin affords a comfortable king size Prestige Tranquility bed in the 174 square foot cabin. The bathroom on the inside cabins is more like a standard cruise ship bathroom as it does not have a tub. 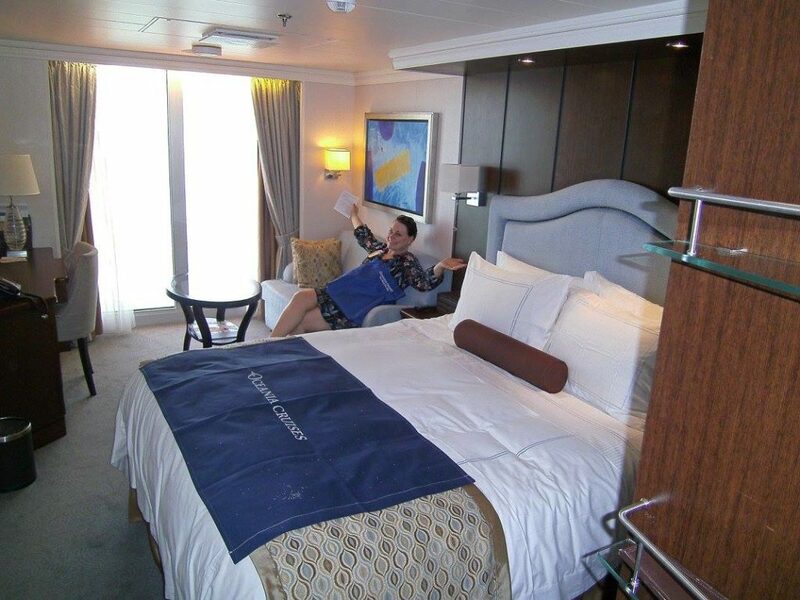 All staterooms feature complimentary specialty dining with a reservation and 24 hour room service. The ship’s common areas are very elegantly decorated and provide the relaxed country club feel. With 8 unique dining venues on board, you’ll have the opportunity to sample the amazing cuisine that Executive Culinary Director and world renowned master chef Jacques Pepin has develop exclusively for Oceania. Additionally, the Canyon Ranch Spa on board features treatments designed by the famous spa in the Sonoran Desert of Arizona and offers that oasis from the stresses of life. The expansive fitness center offers you a chance to work off some of those calories from the decadent meals you’ll enjoy on board as well as a personal training staff eager to assist you with your workout routines. The Culinary Center is a unique feature to Oceania that offers guests hands on cooking lessons from the expert chefs on board. You’ll learn to craft the amazing cuisine you enjoy in the ships’ dining venues so you can enjoy the same meals at home or show off for your friends. If you’re interested in creating your own art, there’s the Artist Loft that offers a chance to fine tune your artistic side with expert guidance form the on board artists-in-residence. The decor, staterooms, service, and, most importantly, the food, all receive top marks. With a feel like a relaxed country club, it is easy to get some great rest and relaxation on this ship. There’s plenty of activity and entertainment though if you’re up for a “night out.” With the destination intensive experiences that Oceania Cruises offer, combined with the beautiful ships, and incredible cuisine, Oceania Cruises are clearly a fantastic choice for your your next dream vacation. They even offer world cruises, for those looking for a grand adventure. 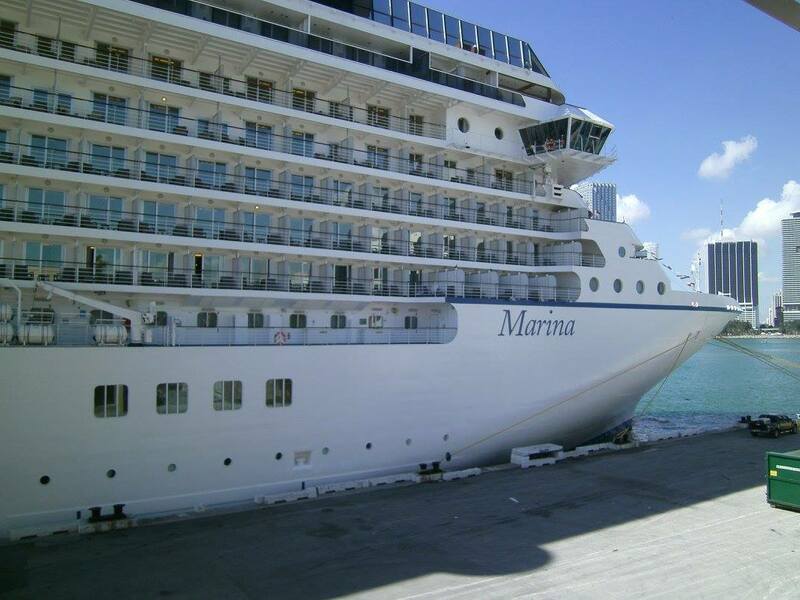 Contact us to reserve your next dream vacation aboard the Oceania Marina or for any other destination. Go There With Us.